Aptera Announces Pre-Production 2e, Confirms October Production | OhGizmo! By Evan Ackerman on 01/23/09 • Leave a comment! 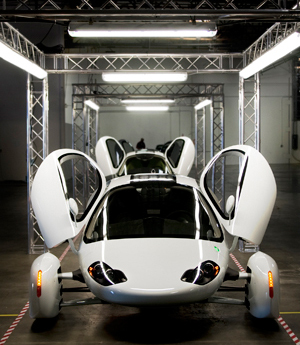 We’ve been following the Aptera electric spacefighter/spermmobile for over two years now as it inches closer to production, and yesterday Aptera announced the rollout of a pre-production version of their wicked awesome electric car. You still can’t buy one yet, but the pre-production evaluation is an important step towards production of a purchasable consumer model, which Aptera says should happen by this October (in California, anyway). The Aptera is still maintaining a sub 6 second 0-60 time, 200 mile range (100 miles on electricity alone), and a pricetag starting at a mere $25,000 (up to $45k with options). For more info, check out some of our previous Aptera coverage (with videos) here and here.